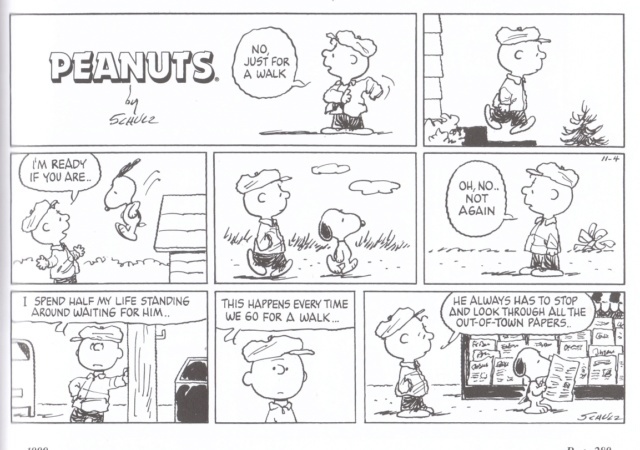 it's me again with my Peanuts questions. Except the fact that a dog usually can't read (but Snoopy is so special), and that is of course funny, can you explain me what are out-of-town papers? Do they concern suburbs news, or foreign news? Or something else? 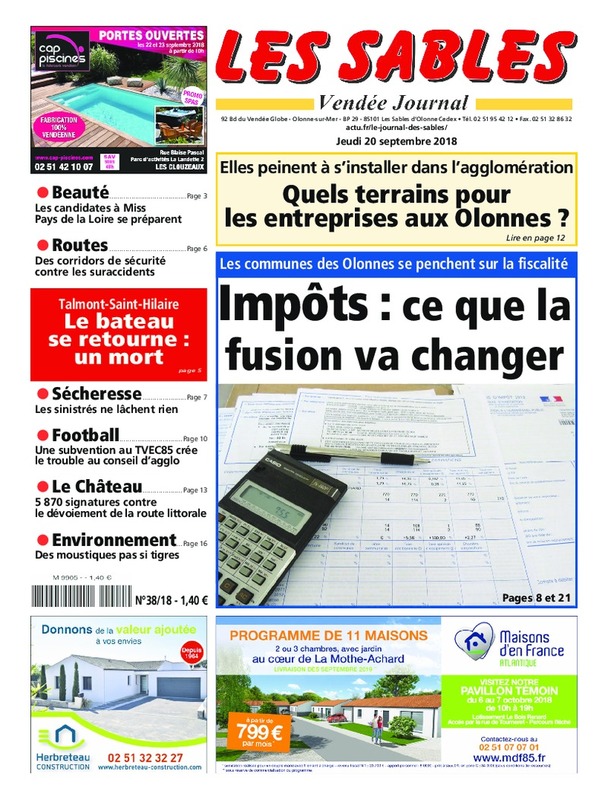 [...], can you explain me what are out-of-town papers? Do they concern suburbs news, or foreign news? Or something else? In the US we (used to) have local papers such as the Greensboro News & Record and then larger, regional or national papers such as the New York Times. Out-of-town papers would be the latter for most people. At least that's my guess. It's possible the newsstand is packed with small local papers from other communities but it seems unlikely. This proves once again that Snoopy is broad-minded! His local news are not enough for him. More than what Dil Bert said, Patapin. In England all important newspapers are published in London, except for the Manchester Guardian. Scotland has several cities with newspapers. which would be "out of town" papers to a Parisian. Once the railroads were extended across the country, newspapers from the capital could reach the frontiers in a few hours. How different in America! A train from NY to LA takes at least three days. Even Chicago to New York takes a whole day. but each had its own columnists, investigative reporters, and other unique sources that might be of interest throughout the land. Therefore "out-of-town newspapers" were on sale on newstands in big cities and in small towns. However, that is less than half the joke of that day's comic. and the dog insists on stopping, it is usually for a different reason than browsing through a newspaper. can you explain me what are out-of-town papers? Do they concern suburbs news, or foreign news? Or something else? thanks for your long and detailled post, which is very precise everytime. That's right, news are often centralized. Of course! And even, most of the time, it's the master who reads the papers!